# He must be a citizen of India. # He must make and subscribe to an oath or affirmation before the person authorised by the election commission for this purpose. # He must be not less than 30 years of age in the case of the Rajya Sabha and not less than 25 years of age in the case of the Lok Sabha. # He must possess other qualifications prescribed by Parliament. He has to be registered as a voter in any parliamentary constituency of India. This is applicable for both, the Rajya Sabha and the Lok Sabha. Before 2003, there was a rule that contesting for a Rajya Sabha seat the candidate must be an elector in the particular state from where he is contesting but this requirement has been waived off since 2003. In 2006, the Supreme Court upheld the constitutional validity of this change. A member of scheduled castes or scheduled tribes can also contest a seat not reserved for them. # if he holds any office of profit under the Union or state government (except that of a minister or any other office exempted by Parliament). # if he is of unsound mind and stands so declared by a court. 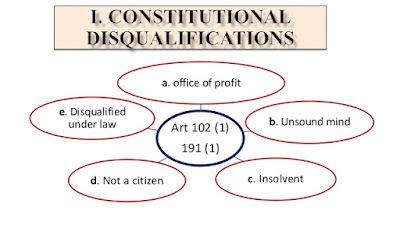 # if he is so disqualified under any law made by Parliament. # He must not have been convicted for any offence resulting in imprisonment for two or more years. # However, the detention of a person under a preventive detention law is not a disqualification. # Should file his election expenses within the time. # Should not be involved in government contracts, works or services. # He must not have been dismissed from government service for corruption or disloyalty to the State. # He must not have been convicted for promoting enmity between different groups or for bribery. # Should not promote social crimes such as untouchability, dowry and sati. 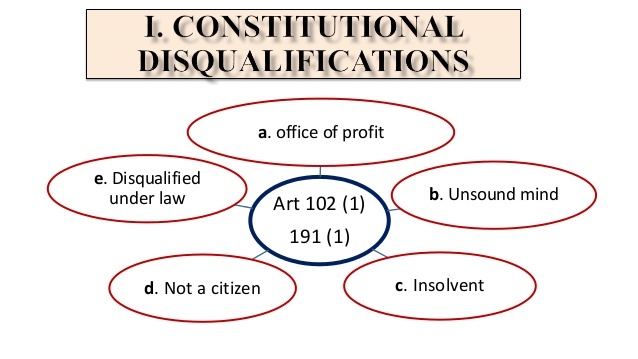 On the question whether a member is subject to any of the above disqualifications, the president’s decision is final. However, he should obtain the opinion of the election commission and act accordingly. # If the Member of Parliament is disqualified on the grounds of Defection according to the provisions of the 10th schedule of India. Section 8(4) of RPA, 1951 gave a reprieve of three months to legislators from immediate disqualification if they were convicted for an offence, so that they could file an appeal in the higher courts. In order to negate this judgement the Parliament subsequently passed an amendment to RPA, 1951 reinstating Section 8(4) in effect by giving a cooling off period of 90 days and allowing the convicted legislator to continue if he/she is able to get a stay on either the sentence or conviction. The passage of this Bill without a discussion in Rajya Sabha created huge furor as it was an action that was seemingly governed by politician – criminal nexus which has led to the menace of criminalization of politics. However the then Law Minister Mr Kapil Sibal had argued that the amendment would prevent political victimization as false charges can be filed against a person. In light of huge public pressure, the bill was subsequently withdrawn.